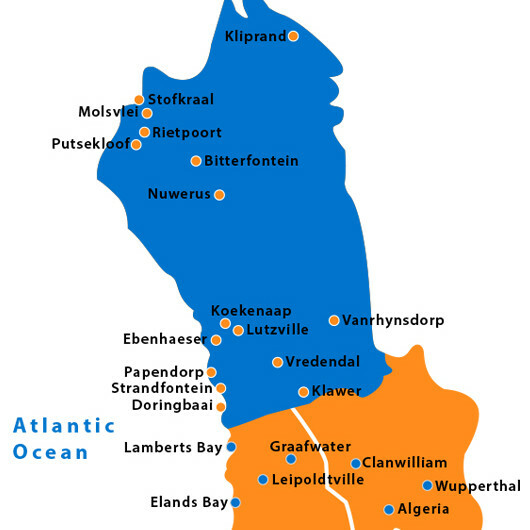 The Matzikama region borders the Atlantic Ocean to the west and includes the Sandveld, Knersvlakte and the Matzikama Mountain range. The Olifants River winds its way through the region, supporting the vineyards on its banks. The region is a stark contrast of vast unspoilt beaches, rugged mountains and a fertile emerald green valley. Vanrhynsdorp is very much a farming community and suffers all the ailments common to most small rural communities, namely poverty, unemployment and limited opportunities for growth. To Catherine Frans and a small group of women this was not acceptable and they decided to embark on an action to help their community to help themselves. But not just any action – they had a different idea. Theirs was to be a project which would aim to empower women of the area. In 2004, twelve local women decided to start a project which would put food on their tables. They started growing fresh vegetables in the limited space of their own backyards. This proved costly, since they had to make use of and pay for expensive municipal water. 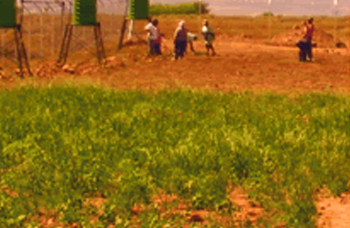 The Lamatzi Care Food Garden Project now rents a hectare of land from the local Matzikama Municipality. WCCF provided the start up funding to buy tools and equipment. They had successful crops last year, which they sold locally and intend to go from strength to strength. Ultimately they would like to own their own land.